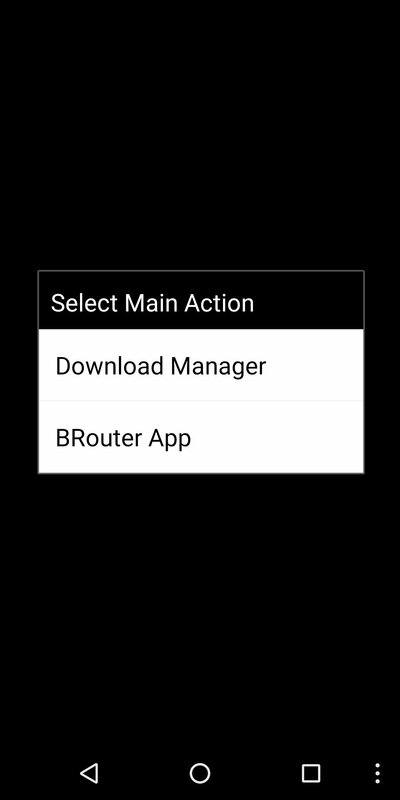 Wanted to download brouter from play store and it's not there. Do you know what happened? If this is permanent, is there other app for offline navigation? Re: Brouter. Where it disappeared? Search for Graphhopper in this forum. There are links in the *first* post to the apk and to routing data. Indeed it is not there. Any known reason for this? Brouter 1.4.11 apk from the website is the same version number as I downloaded previously from Google store. Isn't it grasshopper for online navigation only? I've downloaded the latest version but it doesn't work for me. I downloaded all needed files for brouter but when I try to navigate it gives me missing data. And ask download them again.looks like this. Did you try running Brouter directly, selecting the Download Manager option and downloading the routing data for the area you are interested in? Hm not sure anymore. I was trying multiple things. I just gave up. Managed to dowload grasshopper for offline and I was directed above comment and it works now.